In ancient cultures, the very first desserts required minimal effort or preparation since people were more worried about the nutritional factors of food to survive. Today, Miriam-Webster defines dessert as a usually sweet course or dish (as of pastry or ice cream) usually served at the end of the meal. On October 14, forget every reason to skip dessert and indulge at the following San Diego restaurants to celebrate National Dessert Day. There’s a food holiday for everything these days, but this one isn’t one to forget or skip! Tucked away in Bonita, Romesco Mexiterranean Bistro transports guests back to a time when going out for lunch or dinner with family and friends meant, conversation and good food, including dessert, was at the heart of the experience. 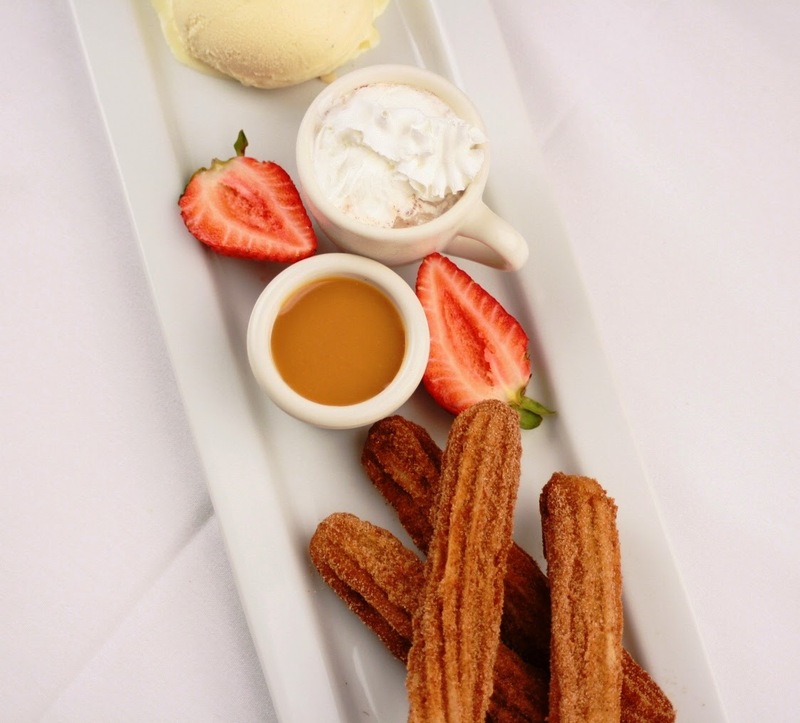 Order favorites like My Grandmother’s Mexican flan with a caramel piloncillo and Tijuana’s Border Churros served with a dulce de leche dipping sauce, vanilla ice cream and Ibarra Mexican hot chocolate. Or try one of Romesco’s sweet crepes, like the Crepas de Cajeta with homemade dulce de leche, toasted nuts, berries and vanilla bean ice cream to complete the dining experience. Known for a creative and an approachable take to fine dining, Table No. 10 also includes inventive seasonal desserts on the menu. Order the Tiramisu Doughnut, a homemade doughnut soaked in coffee and served with mascarpone, Kahula syrup, coffee mousse and vanilla bean ice cream, for a combination of two desserts in one. 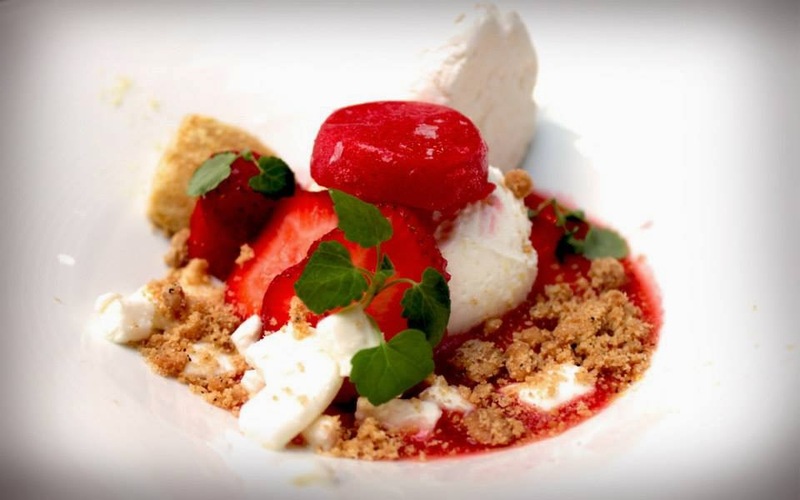 For a sweet treat that is truly unique, try the Strawberry Shortcake with lemongrass macerated strawberries, corn biscuit, brown butter crumb, strawberry sorbet, corn powder and strawberry sauce. Lotus Thai is Hillcrest and downtown’s answer to authentic Thai food. After dining on noodles and curry at wither locations, end lunch or dinner with a Thai-inspired dessert. Try favorites like the Sweet Sticky Rice with mango as a traditional sweet ending to an authentic Thai meal. Scoops of homemade coconut or green tea ice cream will also hit the spot when wanting something light or to accompany with other desserts on the menu. barleymash’s menu is known for infusing each item with beer or booze. Pastry Chef Jess DiBona has made sure the desserts at this Gaslamp restaurant and bar hasn’t been left out of the booze-infused menu. Stop in for her fall desserts that include items like Caramel Apple Crème Brulee with rum spiked whipped cream and Peppermint Hot Chocolate Cake with home-made peppermint patties and a peppermint schnapps marshmallow meringue. Who said dessert had to be eaten after a meal? At Pacific Beach AleHouse, the recently-launched Pumpkin Ale is brewed in house and drinks like a festive fall dessert. The PB AleHouse team carved more than 100 pounds of pumpkins, roasted, smoked and rubbed ‘em with a honey and brown sugar glaze. The pumpkins were baked to seal in the sweet flavors and finally sent into mash with eight types of malt including crystal, honey and biscuit. Brewmaster Vince Falcone added a mixture of nutmeg, all-spice and pumpkin pie spice before ending the boiling process. The result is a pumpkin ale with a hint of spice, served fresh in a sugar-rimmed glass. Don’t miss Falcone’s seasonal beer because the Pumpkin Ale is only available until Thanksgiving.